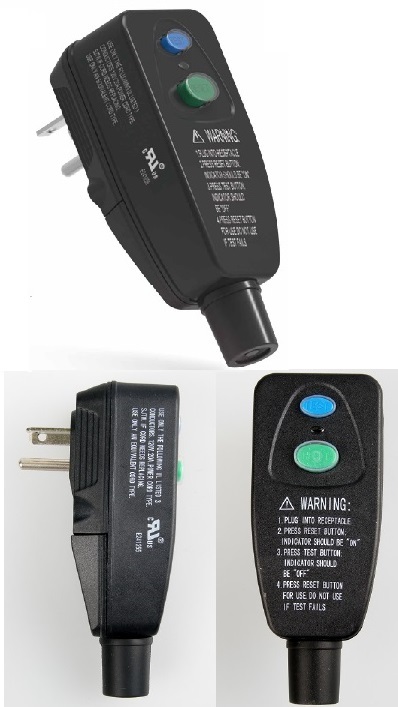 This sealed Ground-Fault Circuit-Interrupter - GFCI power plug-in is UL approved. 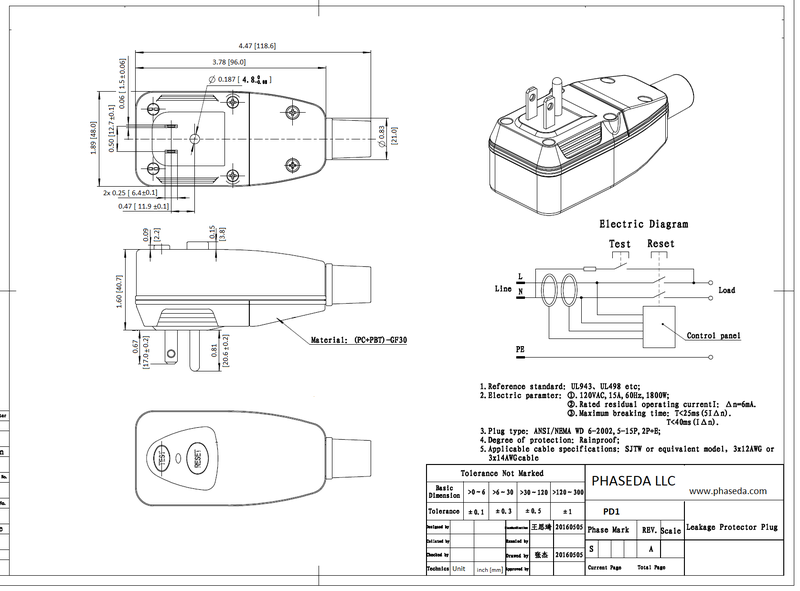 It has National Electrical Manufacturers Association (NEMA) 5-15P and 5-20P rating. It fits any standard 3-wire outlet and provides instant GFCI protection against accident exposed to water and open neutral condition. It has test and reset button and power on indicator. 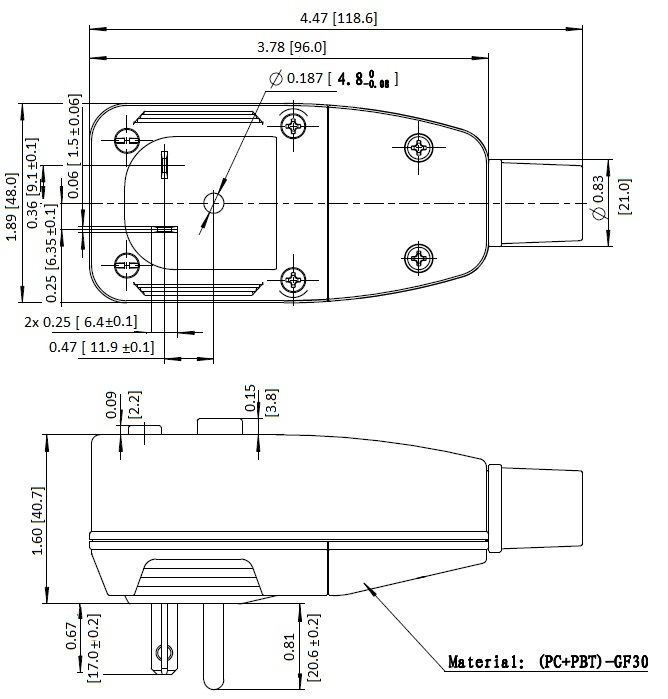 This plug is widely used in wet environment, like kitchen appliances, outdoor power tool, pressure washer, pumps, paint sprayer, water heater, lawn and garden equipment, etc. This product is fully compliant with RoHS. 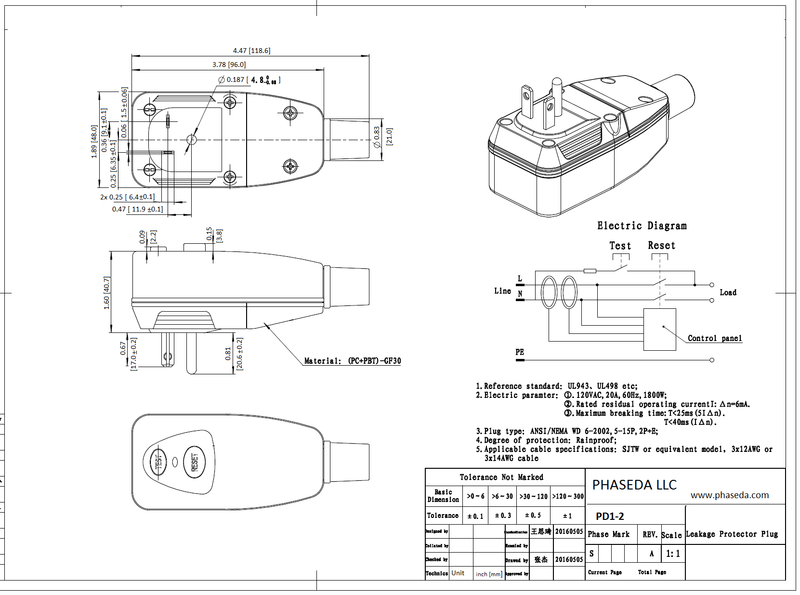 Phone: 503 - 564 4647 | sales@phaseda.com Copyright (c) 2012 Phaseda LLC. All rights reserved.